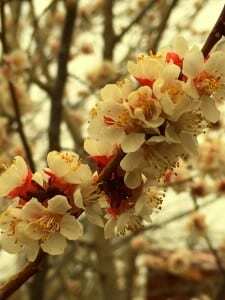 You hear a lot these days about how grounding and nourishing spending time in nature is. We sit in our cars, our cubicles, our conference rooms, tasking the day away to make ‘a living’. The flip side to this are the people who work on the land directly, far from the confines of computers and commerce. Skilled labor work is honest work. It’s either done correctly, or it’s not. It’s complex and simple at the same time. It’s hot and sweaty. It’s wind chill and shivers. It’s taxing to the body. It is integral work to the landscape design + build process. And beyond. Work / Life balance is another common thread of our times, you’ve seen the memes, the blog posts, the talk shows. We see (or hope to see!) our homes and yards as a sanctuary from the harried world of getting it done, getting it done, getting it done. Spending time in one’s back yard is the best vacation some say. Others see their back yard as an assortment of work that needs to be done, again and again. 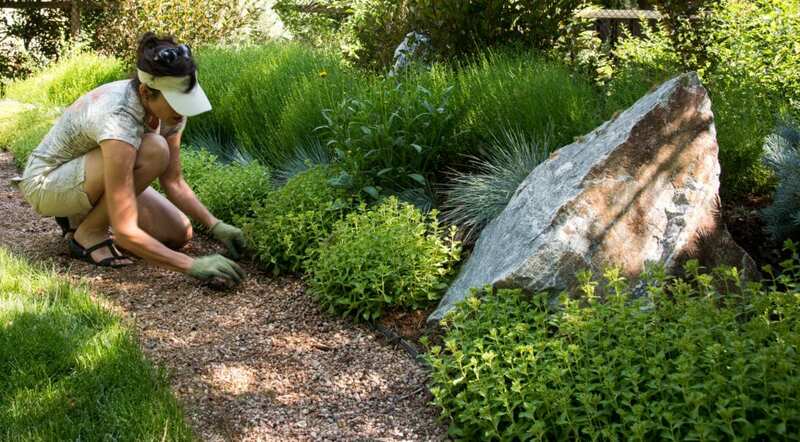 People call us all the time looking for low or maintenance-free landscaping. They are the same ones looking for a maintenance-free car or body. True enough we all could do with less chores and work, but there is something about the activity of caring for something you hold dear. There is a moth-to-a-flame draw of a beautiful hand-made creation. You can’t mass produce a landscape. You can’t ignore a yard full of living things and expect it to be unchanging. But you can change your mind as to how you view the intersection of people working on the land, whether it is yourself doing the work or a hired hand (or crew!). Expect that it may be messy at times, with many elements needing to come together in perfect sequence. See machinery and man working skillfully together, to avoid buried utilities and important things that would cost a lot of money to replace. Think about the last time you cursed your lawn mower, and then appreciated the smell and look of a fresh cut lawn when you finally finished. Pick and choose. Savor those things you like to do. Hire out that which you do not. Appreciate that either way, the human touch was locally and intimately involved with that outdoor space we fondly call, landscape. 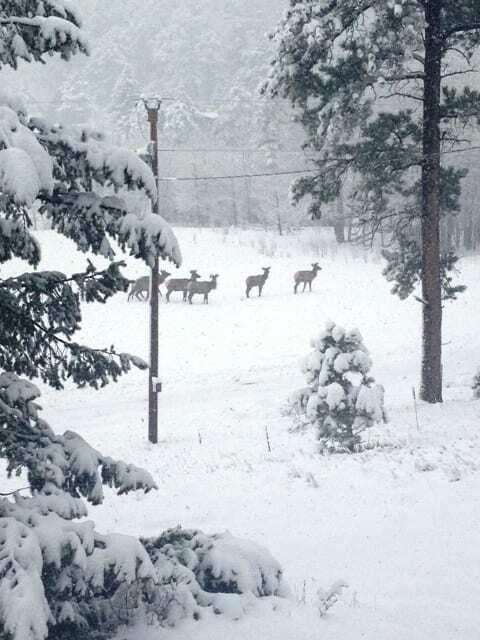 Some say the hardest part of a Colorado winter, is the spring. Back and forth we go between snow and sun and snow. February’s wind storms and recent heavy wet snow have made quite a mess around Boulder County. Easiest way to deal with this fickle season: think of snow as slow release water for your yard and email Scott@EcoscapeDesign.com to set up your spring clean-up. We also can meet with you about adding more plants, mulch, and improving your soil. Thinking about a new hardscape project, adding some outdoor lighting, or completely revamping your yard? Now is the time to get the ball rolling. Call us at 303-447-2282 and we’ll connect you with one of our designers. 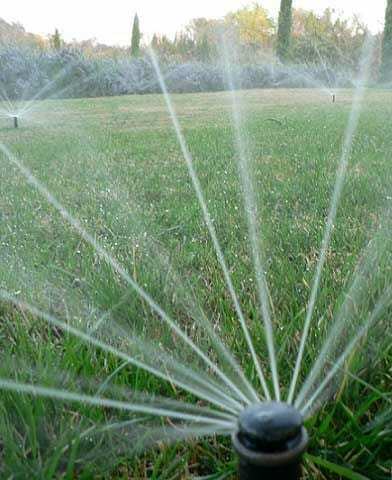 Late April is our target for irrigation start-ups, so we will be contacting you soon to schedule. May is the time to give attention to your turf… spring aeration and organic fertilization will insure your grass is off to a good start. 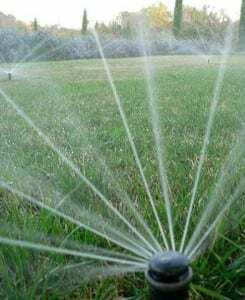 If we’ve never provided irrigation or turf services to you in the past, call us and we can get you started this season. Well-being begins in your own back yard…Call Ecoscape today. Thinking about growing LESS grass this season? Folks, turf grass is not the enemy. Shocking I know, since every eco-gardener these days says grass is public enemy number one….but it’s all about perspective. It’s best to think of turf as a ground cover plant that holds the soil in place and makes a great place to play & roll around. But like anything, too much of a good thing can be bad. Acres of maintained and irrigated turf is a monoculture and doesn’t supply a diversity of food for pollinators, insects, birds, or animals. Conventionally grown turf also means there is a heavy synthetic chemical burden to the local soil ecology and area watersheds (think run-off from chemical fertilizers and herbicide applications). So that bad rap is true. Bad, bad grass. In Colorado however, we do have several drought tolerant turf choices that are way more reasonable then Kentucky bluegrass with water demands. And with an organic lawn care protocol and best cultural practices, it is possible to maintain a healthy span of grass and not feel ‘guilty’. Good grass, not such a bully after all. But what if your yard has more turf than anything else? 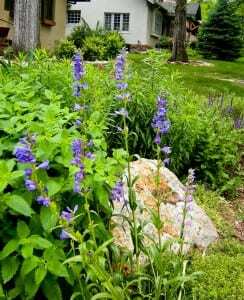 On the home front, it is possible to convert some of your turf square footage over to more plant diversity. By doing this, you’ll be providing more nutrition to a larger range of critters, both above and beneath the soil. You might even grow some food for yourself and family. But just ripping out the grass and planting water loving plants is not the best way to go about it! Learn how you can transform your lawn into a beautiful xeriscape garden from one of Boulder County’s most sought after landscapers, Bill Melvin, owner of Ecoscape Environmental Design. This seminar is sponsored by the Center for Resource Conservation, and will take place on April 5 at the Lafayette Library, 5:30 to 7:30pm. See more class details and register here. There, now you can have your turf and eat it too! 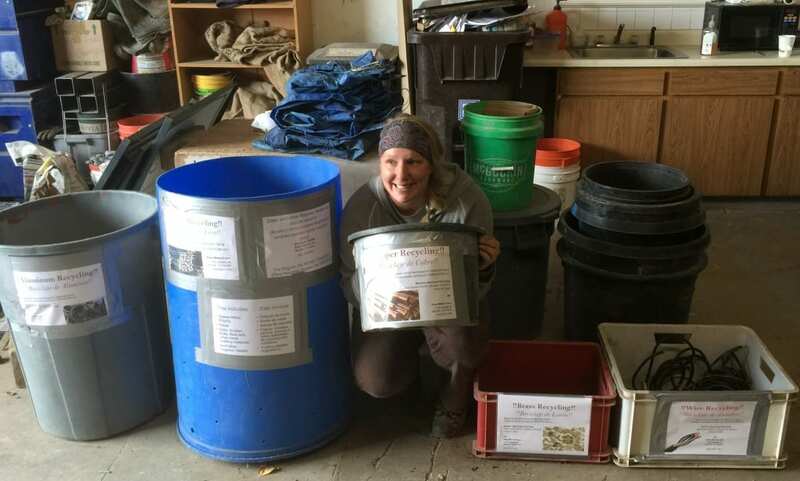 Three cheers for Emily, Ecoscape’s Recycling Rockstar! While most people are familiar with single-stream recycling here in Boulder, you may not know how easy it is to recycle wire, copper, steel, metal, and brass. During new landscape installations, our crew often runs across an assortment of components as the old landscape is being deconstructed. Broken irrigation fittings, bits of copper wire for electricity, brass from defunct spigots, and so on. Instead of heading to the landfill, these scraps get melted down and reused to make new items. Emily created organized bins and taught her fellow crew members to be more mindful when dealing with deconstruction waste. Building our company’s best practices around recycling and is an ongoing effort…but having a company culture that encourages employees to share good ideas is paramount. Thank you Emily for helping Ecoscape to do better in our recycling program! Puttin’ the Bee in Boulder! It’s official, Ecoscape will have a booth at the upcoming Healthy Bee / Bee Healthy Conference at the Millennium Harvest Hotel in Boulder! The event takes place Oct 1 – 3, and we will be there on Saturday from 9am – 5pm. We are proud to be a sponsor for this event to support the mission of apicultural outreach and education in Colorado. To learn more about the presenters and how you can register to attend, buzz here.